In Senegal, the regulations restrict used vehicle imports to no older than 8 years and for trucks no older than 10 years. 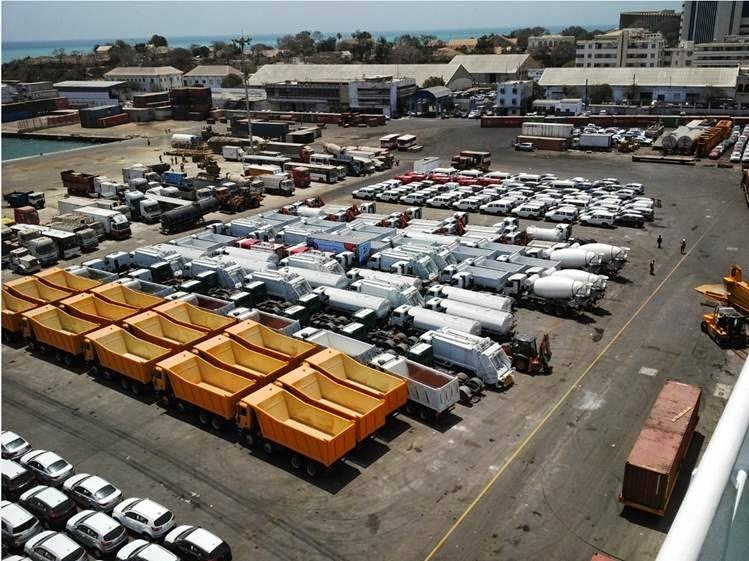 If you have a car shipped to Senegal from Europe for selling or personal use, it will arrive after some twenty days in the port of Dakar on the ‘roll on roll off ‘ terminal. 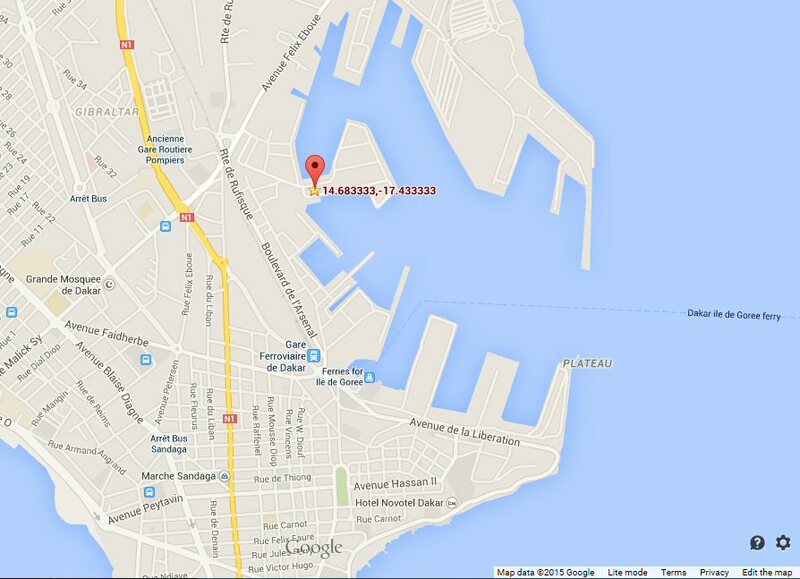 The clearance, ‘dédouanement’, is done only at the customs offices Dakar-Port Nord and Dakar Port Sud. Conversely, vehicles that have arrived overland on the Senegalese territory can be cleared through regional offices designated by the Senegalese government. Temporary importation of vehicles with suspension of duties and taxes shall be allowed under certain conditions. 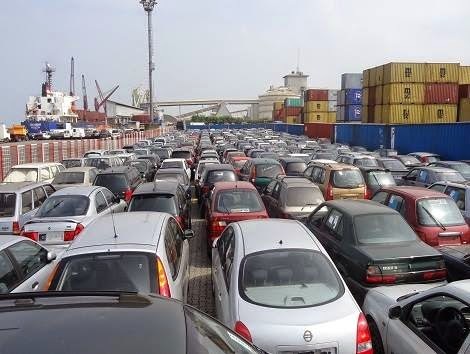 Once unloaded at the port, the car is released only when all customs formalities have been processed. If arriving by land, it is possible to report within 48 hours at a customs office. You are not allowed to do the customs formalities yourself, it is required to make use of a customs clearing agent approved by the government. The whole process can be completed within 48 to 72 hours. The Bill of lading, ‘Le Connaisement’. This is a document issued by a carrier which details a shipment of merchandise and gives title of that shipment to a specified party. The vehicle registration certificate (for used cars), ‘La carte grise’, used for customs declaration and to determine the amount of duties and taxes. The commercial invoice (for a new car), ‘La facture’. De import declaration, called a ‘Déclaration préalable d’ importation’ ‘(DPI). The DPI is required for the clearance of a vehicle in Dakar as the FOB value is more than 1.5 million CFA. FOB value is the value of the vehicle plus shipping charges and insurance from the port of departure. The certificate of conformity, ‘Le certificat de mise à la consommation’(CMC). With these documents, the customs clearing agent prepares the transit order, ‘ordre transit’, which should be signed. The calculation of the taxes and duties to pay for a vehicle is not easy to understand if you have no experience with this. The final amount to be paid depends on several parameters. The value of a used car is determined by the quote listings from the French ‘cote L’Argus ‘ used as a reference. This is a French car magazine that publishes every month the quote listings of used cars up to 9 year old. That price is deducted with 20% for every car. The customs clearing agent will calculate the import taxes to be paid. Nevertheless, it is advisable to able to estimate various taxes and duties yourself, so you are not surprised by the amount to be paid. View this PDF document for a detailed overview of the various taxes. The total import costs roughly amount to 48% of the ‘cote Largus’ value of the vehicle. To go ahead with the clearance of the vehicle, the customs clearing agent should make a detailed statement, the ‘note de detail ‘, including all relevant information and the method of payment. The declaration is then processed through the automated GAINDE system. For payment, go to the tax office Dakar-Port. On behalf of you, the customs clearing agent will pay with a certified check. A receipt is attached to the statement. The statement will serve as proof of payment during the inspection at the customs office. They will issue a document to release the vehicle, the ‘bon a enlever’. Since 2012, the customs automated system, the ORBUS E-PAYMENT platform, enables traders to pay their customs dues and related taxes electronically. The platform interconnects banks, originators (customs agents, traders, …) and customs. Still, there are some documents that physically need to be presented at customs, such as the customs declaration, certificate of conformity and the vehicle registration certificate. The registrant is due eight days after registration of the vehicle to deliver the original documents to the customs office for digital scanning and storage. The customs clearance agent, ‘Le transitair’, first checks whether the payment of freight was well executed with the shipping company. If this is the case, the shipping company will issue a document for release from the port, the ‘bon a enlever’. This is a document other than the document issued by the customs. With this release document, go to the terminal where the vehicle is parked and pay port dues in exchange for a transit, ‘visa’, for the port of Dakar. Proceed going to the ‘customs brigade’, different from the customs office that handles the paperwork. The brigade is responsible for the physical control of the goods. After verification, the vehicle finally may leave the port. The procedure seems simple enough but can nevertheless be a daunting task, especially if there is a problem with the verification of documents or errors in the calculation of taxes and duties. Therefore, it is very important that all of the required documents are available. Choose a good customs clearance agent to avoid problems with the Senegalese customs. That is a very good article, thank you. May I ask where I can find a customs clearance agent ‘le transitaire’? I understand they are official people so maybe there is a list? I will check one of my contacts and get back. Thank you and welcome. I am not sure if but I did come across a categorized list of products concerning import duties some time ago. You can contact me through the contact page and I will see if I can be of any help. Are the port formalities described here the same if i am shipping my car into Senegal to then drive it out the country (i.e. not a permanent import)? I have never done it myself so far but I know there’s the possibility of transiting the car. I know Gambian car dealers who are using this way of getting there merchandise in The Gambia. You would still need an agent as described in the article but you would not need to pay import duties. Also there’s no age restriction. You can expect to be accompanied by officials until reaching the border. Of course there will be costs involved but I can’t tell you exactly how much. Hi Robert. how about vintage cars? I know there is a limit on a car ages but I am talking here about collection cars. It’s an interesting question that I can not find a straight answer. I believe it would still be against the law but anything is possible in Africa if you know what I mean. I do not imagine there would be a market for high end vintage cars but maybe you meant for personal use. Thanks for asking, I have sold vintage cars myself a while ago. I am interested in shipping two motorcycles into Dakar and riding north out of the country ASAP. Is it possible to do this without a carnet du passage? How big is the risk that the goods would show up in Dakar and they would not release them without customs fees? I think that is possible with transit without carnet The motorcycles would best have different ownership documents. You may be accompanied by customs until reaching the border. You need help from a local port agent.